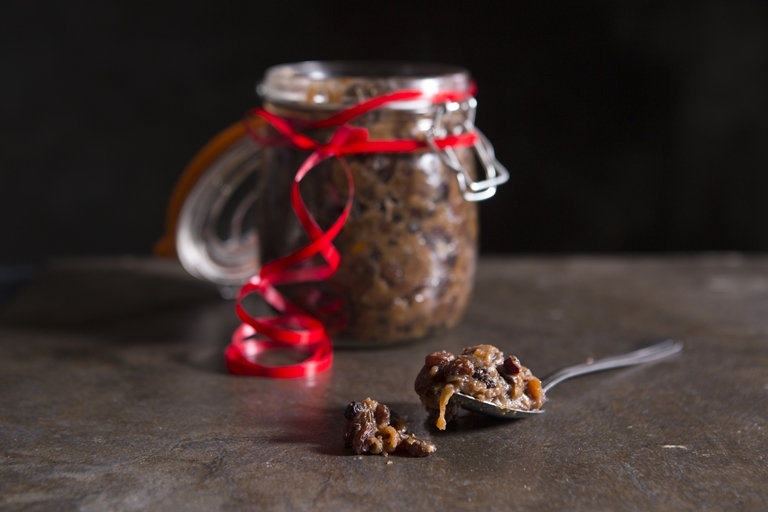 Mincemeat was originally made with chopped meat mixed with sugar and spices, hence the name. Over the years the British public tastes have changed significantly and we have adopted mincemeat as a sweet pie filling at Christmas. Mincemeat is normally made with beef suet, but I prefer to use the vegetarian version so that they can be enjoyed by everyone. Take of the heat and leave to cool before adding the brandy and dividing between sterilised kilner jars. The flavour will develop as it matures, so get cooking well in advance of Christmas!